Out of the box, the Divi Header Module can create striking header designs with only a few adjustments. 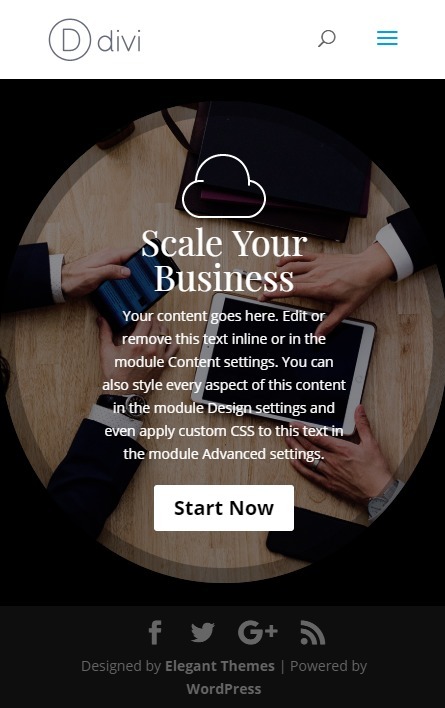 This makes it an extremely popular module when designing headers for your website in Divi. And with a little out-of-the-box thinking, you can create some really unique designs using only the built-in settings (no custom CSS). 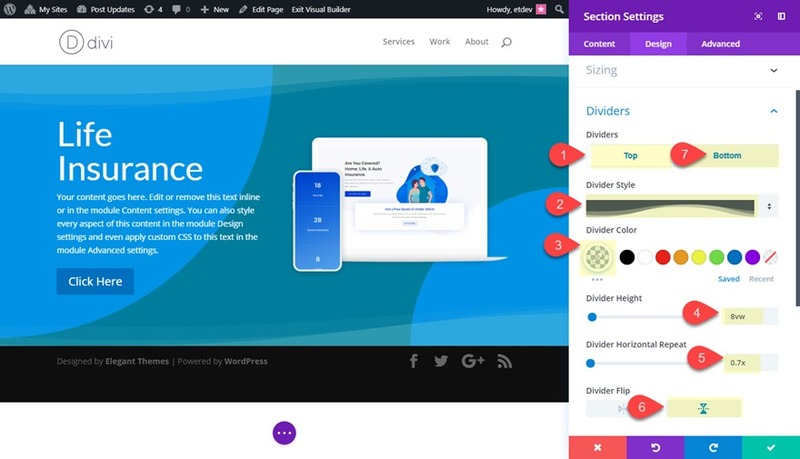 So for those of you who want to explore some new header designs, I’m going to show you 5 Divi header module styles that may inspire you. 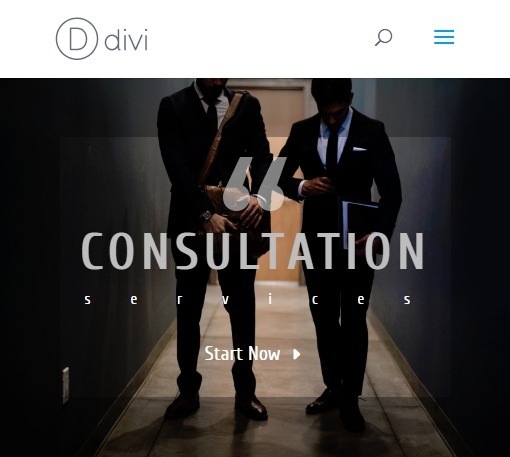 To get started you will need the Divi Theme. 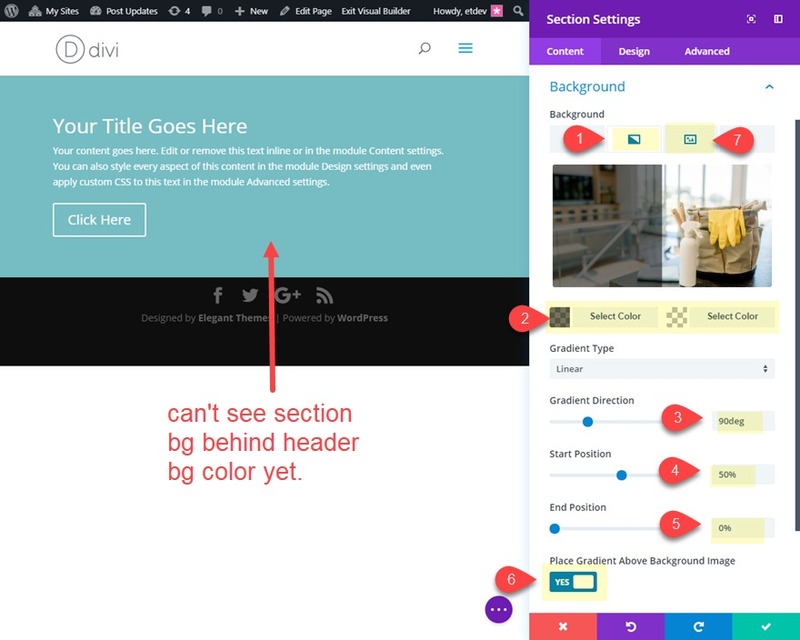 I will be using the Divi Builder to build the designs on the front end. You will also need a few images to complete the tutorial. Remember that you can always import the images of a premade layout. 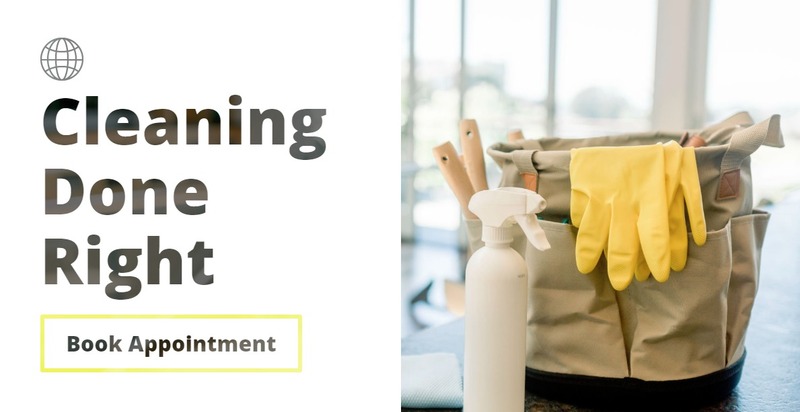 In fact, for this tutorial, I will be using images from the Cleaning Company Layout Pack, the Business Coach Layout Pack, and the Web Freelancer Layout Pack. This first Divi header module design is a simple, multipurpose design that uses gradient backgrounds in a creative way. 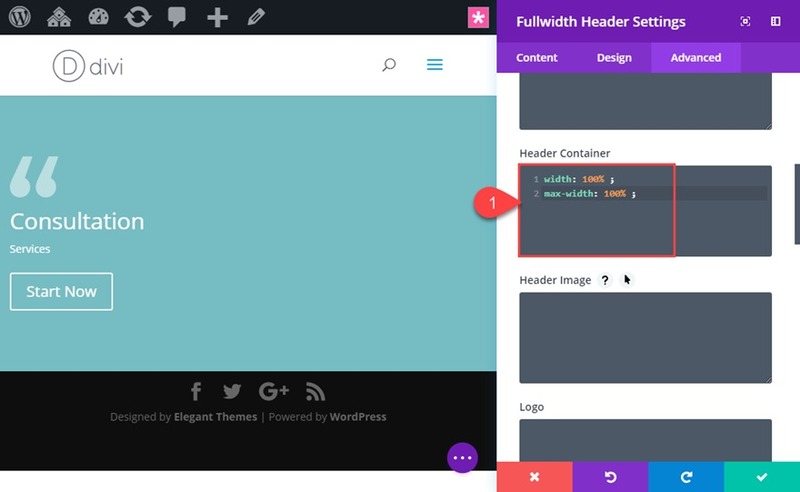 To get started, add a new fullwidth section with a fullwidth header module. 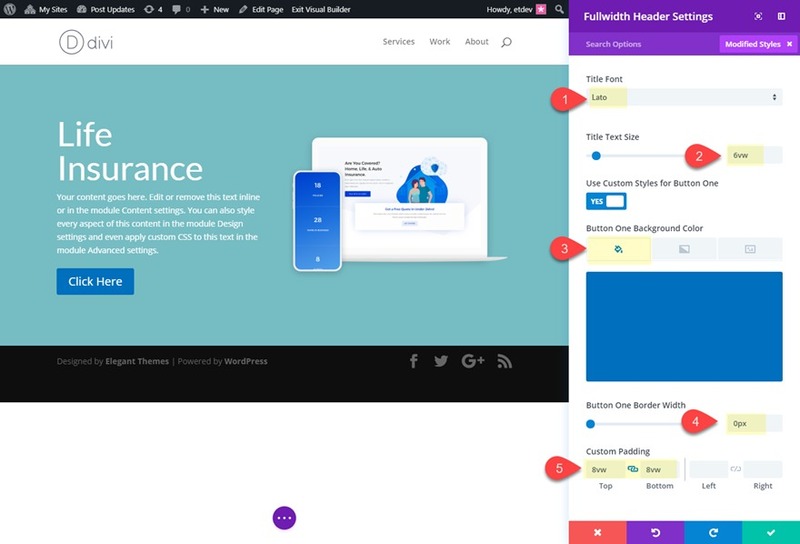 Update the header settings content with a new title and a Header Image. Design Tip: If you are looking for some colors to try out for your own header gradients, I suggest pulling the colors used in the header image/graphic you may be using. That’s it! Check out the final design. 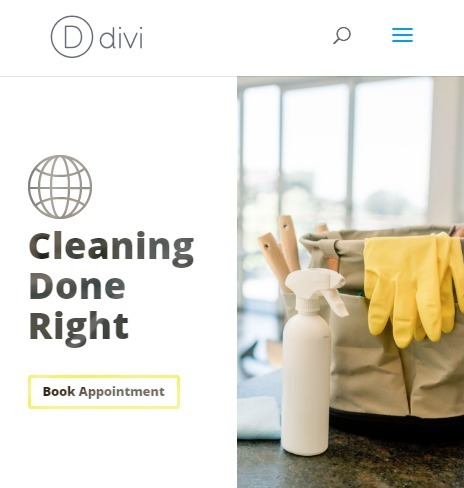 This next divi header module style includes three calls to action including the two buttons and the scroll to bottom icon. 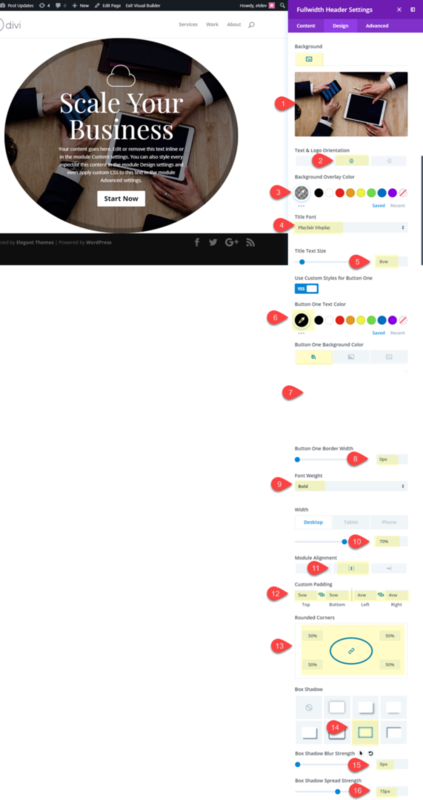 Matching the button icons with the scroll icon helps the symmetrical aspect of the design. And the section dividers create a nice abstract triangular design that leads the users down the page. 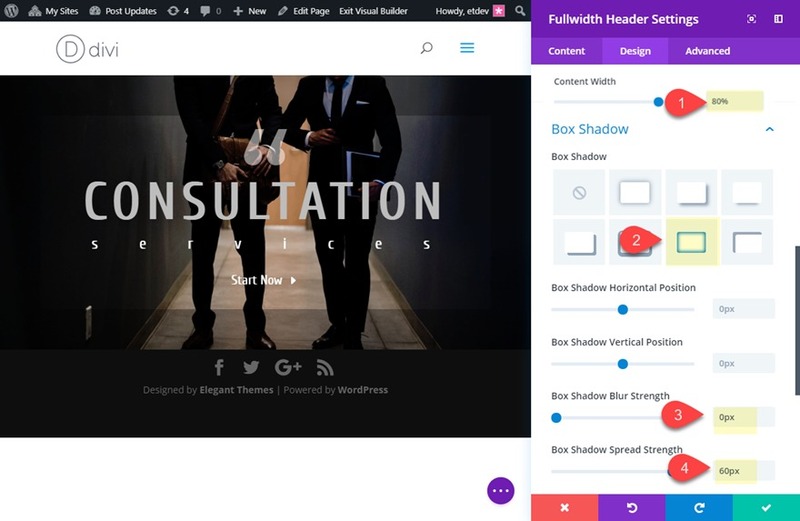 Create a new fullwidth section with a fullwidth header. Then update text for the Title, Button #1 Link Text, and Button #2 Link Text. I know I said no custom CSS, but this is a non-essential extra flourish I thought some of you would enjoy. 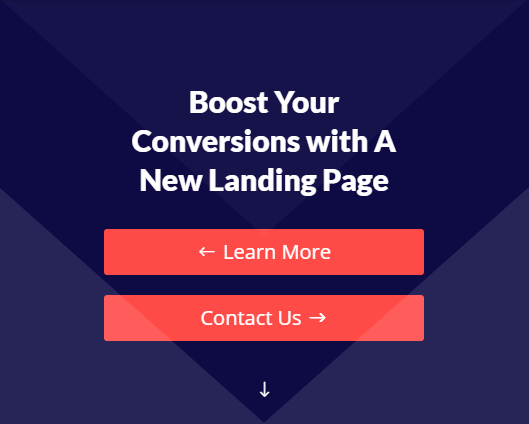 You may notice that for headers with two buttons, the second button has a left margin that throws off the design on smartphones. 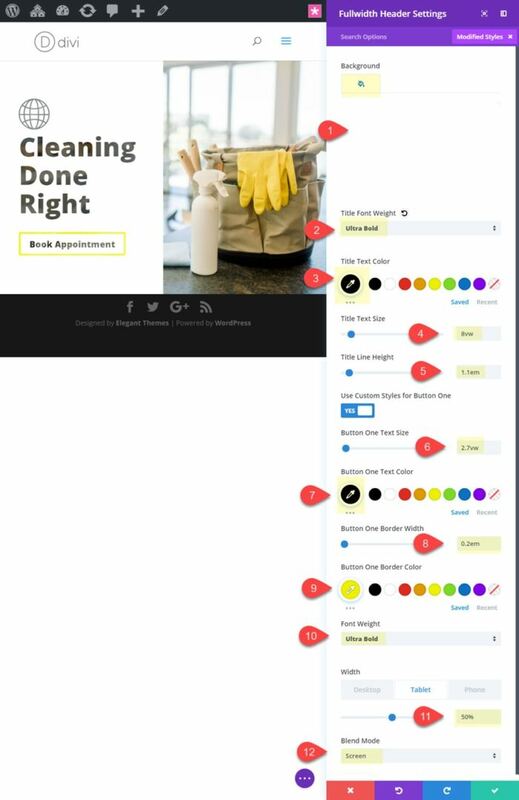 For a cleaner design on smartphones, you can add a snippet of custom CSS to your page settings in order to make the buttons the same width and without the second button margin. Now look at the design on mobile. 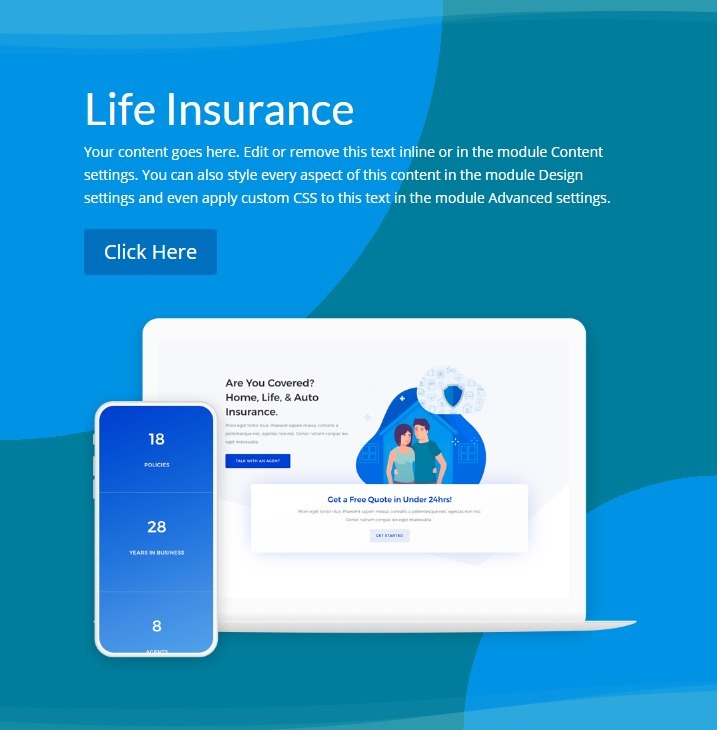 This rounded divi header module design is a great way to frame your background image and header content to bring even more focus to your call to action. All it takes is some adjustments to the border radius of your header, a box shadow and some custom spacing. 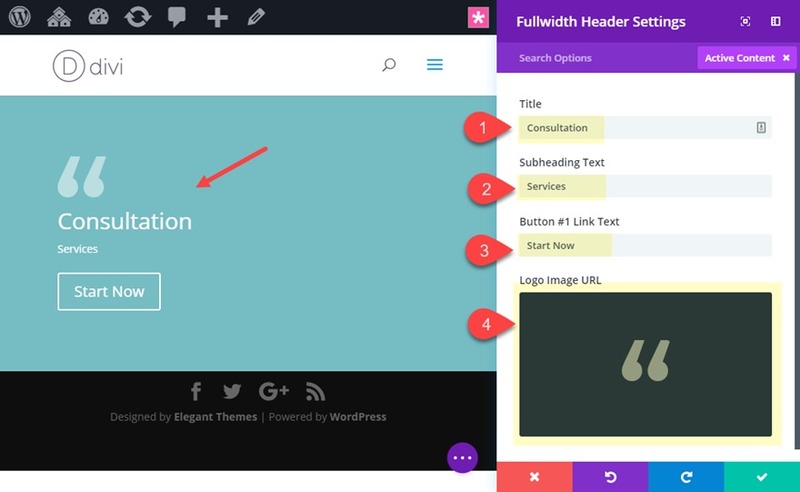 To start, create a new fullwidth section with a fullwidth header. First, let’s update the content elements for the header by adding the Title, the Button #1 Link text, and a Logo image. Next add a background image that is large enough to span the height and width of the header. Since this will be a rounded header, try to use an image with the same height and width (like 1000px by 1000px). Now check out the final design. 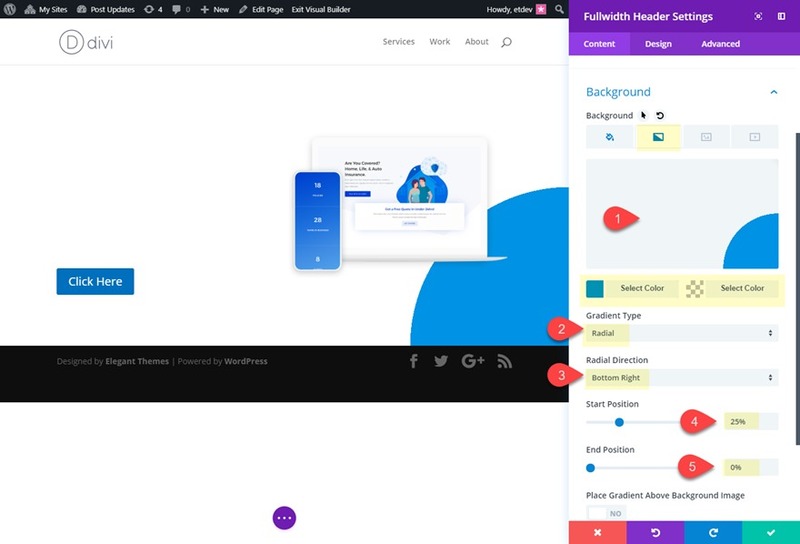 This header design has a few unique design features. The header module is actually resized and left-aligned to expose the right half of the section background image. 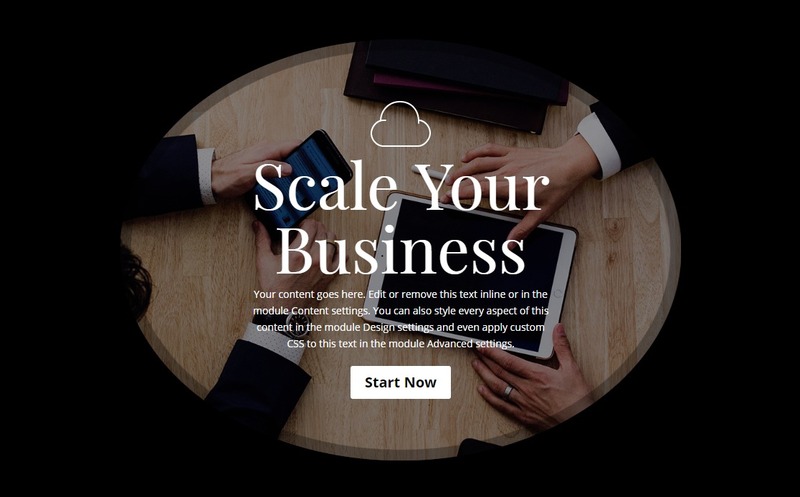 And the header module content has a blending effect that exposes the background image through the content. 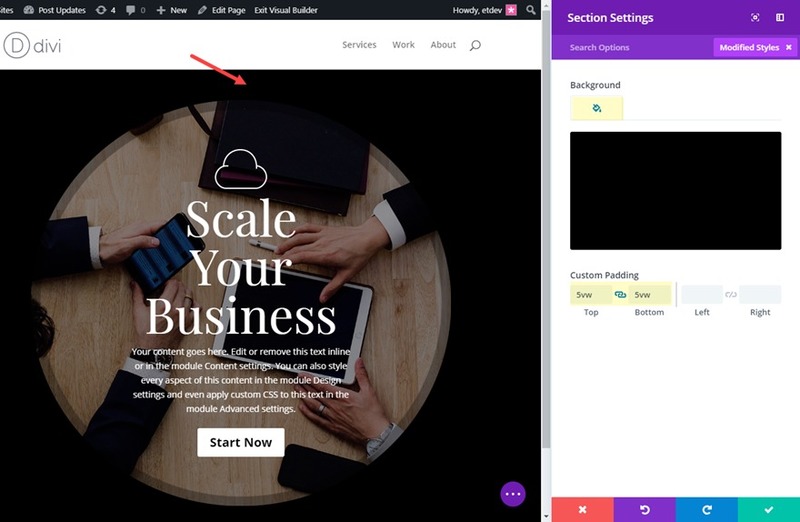 To pull this off, you will need the right kind of background image for your section. Generally, you will want the image to have darker elements so that the blended content will be more visible. 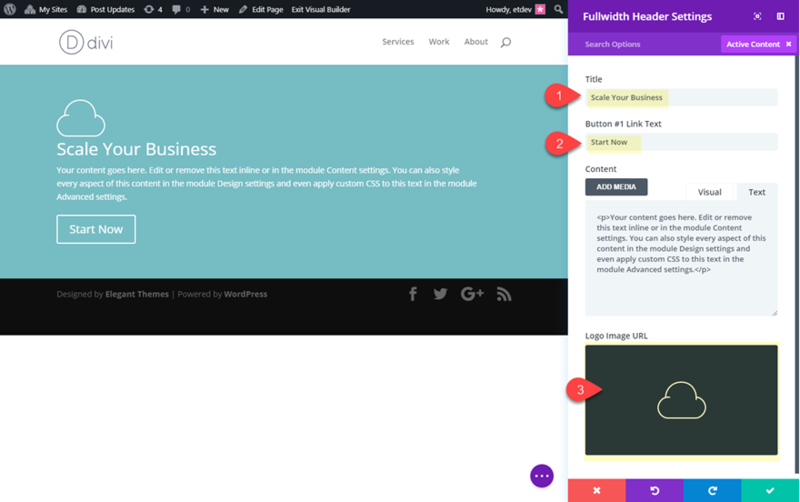 First, create a new fullwidth section with a fullwidth header. Add a background image with the focal point of the image to the right. 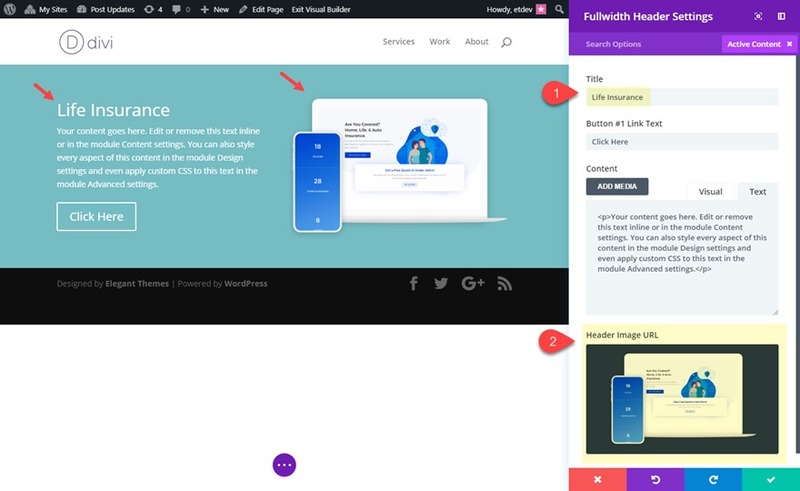 The purpose of the gradient is to make the left side of the image darker so that when we blend the header module content it will be more readable. Also, you won’t be able to see the section background right now because the default header background color is still active. We will change that next. Open the header settings and update the content with a Title, Button #1 Link Text, and a dark logo. Now change the background color to white. 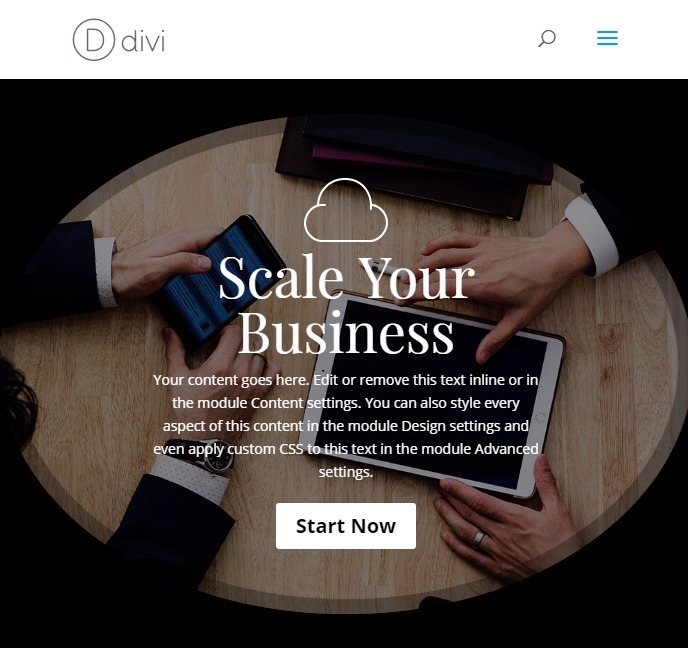 This Divi header module design introduces a simple and effective way to create large text that scales with the browser window without compromising the design. Since we are using a fullwidth header module, we will need to expand our content area a bit. Then we need to use the vw length unit to size our text. This design would be great for section headers. Delete the default text in the content box. Then add a light logo image. The trick is to use the vw length unit for the text. Then adjust the subhead letter spacing to line up with the title text the best you can. Even though this is less than the default 100%, changing the setting will override the default and adjust with the custom css we added earlier. Turn Them Into Fullscreen Headers! 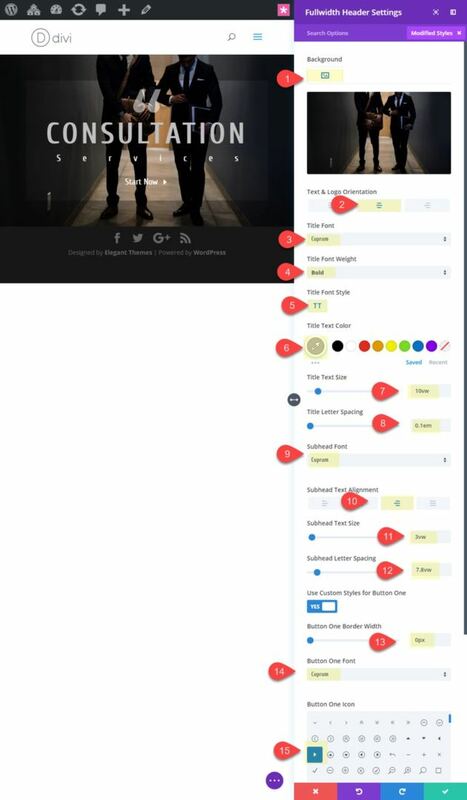 The designs above can easily be made fullscreen with a click of a button. This is a powerful feature of the fullwidth header module. 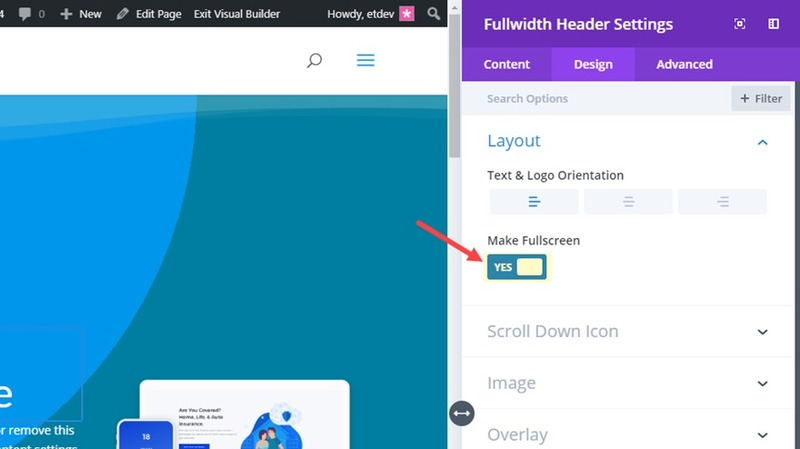 Simply go to the header design settings and select the “Make Fullscreen” option. Also, you will need to take out the custom padding for these designs in order for the header to fit perfectly within the browser window. These are just a few of the header design possibilities available with the Divi Header Module. And experimenting with all the design settings can be a lot of fun. If anything, I hope these examples will serve as a little inspiration for your next project. 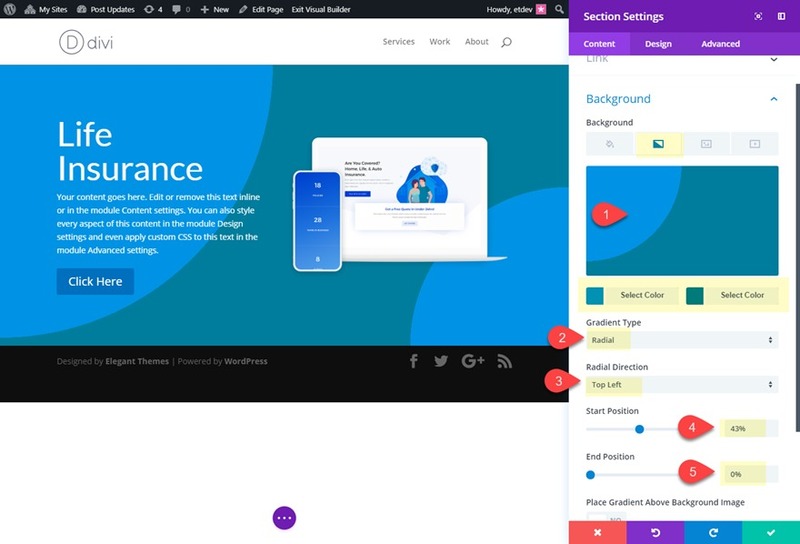 The post 5 Creative Divi Header Module Styles You Can Achieve Using Built-in Settings appeared first on Elegant Themes Blog.